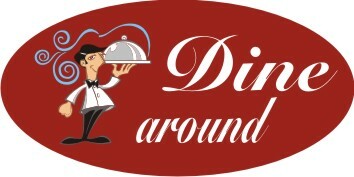 The Dine Around – considered by many in the club to be their favorite social event of the year – is quickly approaching! It will be the last weekend in February – Friday February 26 and Saturday February 27. The Fellowship Committee organizes an evening of dinner parties among the BBRC members. We need participants to declare whether they would like to be a HOST or a GUEST – AND which DATE they prefer (if one exists). HOSTS will open their home, provide a dinner entrée and suggest possible side dishes for guests to bring. GUESTS will bring a side dish to share. If you would like to participate, please contact Sheldon Sweeney or Alex Chehab – noting whether you would like to be a HOST or a GUEST. Sheldon and Alex will create a roster of dinner parties from the participants, and communicate to the HOSTS who their guests will be. The HOSTS reach out to the guests to coordinate side dishes, specific event times and directions. Friendship, Fellowship, and Fun Ensue! !